A dispute settlement proceeding between two states usually conjures up the image of stern-faced judges in robes under tightly controlled timeframes, and most importantly, a legally binding judgment with a serious penalty. This is very important, and many disputes go down this path. In the meantime, a notable new trend is forming. Nonbinding dispute settlement procedures that seek an amicable solution are making inroads into new treaties and agreements. This is, so to speak, a state-to-state version of alternative dispute resolution. Yes, the decision from such proceedings is nonbinding and unenforceable, so one might shrug it off, saying, “It is not legally binding, so why bother?” That is true but not quite. The outcome from the proceedings still carries significant weight for disputing parties. An objective assessment by a third party is rendered from the proceedings, stating the violation or nonviolation of a treaty. Any responsible government would view its national policy being branded as the violation of a treaty as a serious matter. At that point, whether it is legally binding or nonbinding doesn’t matter that much. In addition, nonbinding proceedings cost less and conclude fast. Knowing this, treaty parties are introducing and experimenting with these proceedings in many varieties and kinds. The best testing grounds are, not surprisingly, free trade agreements. Recent FTAs offer a variety of nonbinding dispute settlement proceedings for various purposes. 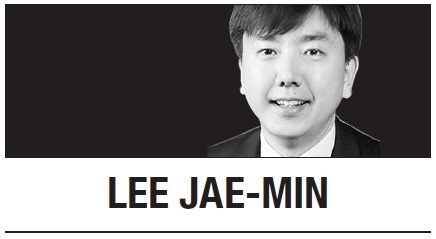 The first instance of the invocation of this new type of dispute settlement proceeding came on Dec. 17, when the EU initiated an official proceeding regarding the implementation of “sustainable development commitments” under the Korea-EU FTA. As far as Korea is concerned, this is the first instance of an official dispute settlement proceeding of an FTA -- whether binding or nonbinding -- being initiated, after 15 FTAs in 14 years since 2004. In a two-page letter uploaded on a website, Brussels complained about Korea’s slow progress in the ratification of the four “fundamental” conventions of the International Labor Organization. Among the eight fundamental conventions of the ILO, Korea has so far ratified only four. The remaining four concern freedom of association and prohibition of forced labor (Convention Nos. 29, 87, 98 & 105). The official proceeding will start with government-to-government consultations. If the matter remains unresolved after 90 days, an expert panel will be formed to hear the two governments out and issue a decision. Again, this decision of the panel would be nonbinding. But whatever comes out of the panel would have significant impact, in a practical sense. Let’s set aside whether Korea has made continued and sustained efforts and whether there is a violation of the FTA. Future proceedings will determine it in due course. What is symbolic of this development is that various mechanisms and proceedings contained in FTAs are now waking up from hibernation. FTA proceedings have not been active so far, but the EU’s request heralds that the tide is changing, and nonbinding proceedings in particular are moving briskly. For trade disputes, only World Trade Organization proceedings have been on our minds. Now diverse FTA proceedings are springing up. The question is: How do we handle the logistical burden? Each FTA contains several new proceedings. If we have 15 FTAs so far, that means we would have to deal with at least dozens of new proceedings soon. Obviously, administration of and participation in these proceedings need tremendous resources. Nonbinding, amicable proceedings are particularly important: they are not just hortatory; they do bite sometimes. Therefore, thorough preparation is necessary and it requires resources. Up until now, this possibility has been largely theoretical. The EU’s latest request shows that the theoretical concern has now started to become a real one.